Hey guys, I am doing a fun Christmas giveaway on my twitter but I thought I'd lay down the law (rules) in one convenient post so that everyone knows what's up and can fairly participate. I am hosting 8 giveaways over the course of 18 days in December with the last one ending on December 18th. This is for hopes that your prize will arrive to you BEFORE the holidays, but honestly I cannot guarantee that. My first giveaway goes live at 8am EST on December 1st. Some of the giveaways last a couple days, some a couple hours, so be sure to get your entries in so you don't miss out on a prize you really want! Some of them may even have secondary prizes depending on my mood! Because I have lots of stuff and I love giving presents. To choose my winners, I will be using Competition Agency and will in no way rig the competition so that one person wins over another. This is all about being fair and equal! All my tweets are already scheduled (and have been since the beginning of November when I was first coming up with the idea). I will do my best to pin the current competition to my Twitter page but no guarantees. December is a busy month for me! Also, once a competition ends, the next giveaway will go live approximately 10-15 minutes after so keep your eyes peeled! The majority of these giveaways are International, but there is one that is Canada only! Please read the tweets carefully. Also, all funds are in Canadian dollars because that's how my money is. I think there are only two giveaways that this actually matters for, but just thought I'd let you know. You have to respond to me within 48 hours to claim your prize; if you do not, I will redraw. You can only win once! If you enter the first giveaway and win, awesome! But that's it. You cannot win another giveaway and your next entries will not be valid. There is one day that I will be having two giveaways at once, so I will not penalize you if you win one and have entered in the other. However, if you win the first one and "win" my last giveaway, I will still send you your first prize, but you will be banned from entering/winning any of my future giveaways. All these prizes are on me. I am not being sponsored in any way, shape, or form to be hosting these giveaways. I am choosing books/bookish things to promote that I enjoy and want to share my love of them with you. I'm looking forward to sharing all this festive joy with you guys! Good luck and may the odds be ever in your favour. Especially for my last giveaway!! It is the one I am most excited about. I think that's it. 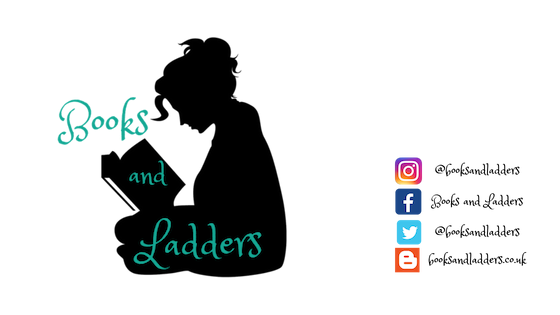 If something is unclear or if you have a question, please feel free to either tweet me (@booksandladders) or email me (jkramer@booksandladders.ca). But I will not answer questions about what the prizes are because I want them to be a surprise!